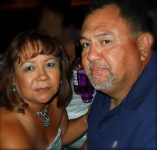 We are a family run New Mexico business! 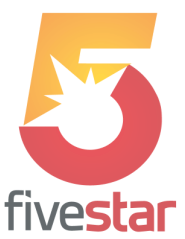 For over 15 years Five Star has been providing New Mexico's best mobile DJ service! We only use professional grade sound and lighting and customize the music we play for each event. We work with you and your budget to make sure you and your guests have a great time. CONTACT US to discuss custom packages. Check our FAQ page for any questions you might have and take a look at our PHOTO GALLERY to view some of our equipment and past events. Josh started this business when he was 14 and has been DJing ever since. He has played at just about every type of event including high end weddings, proms, concerts, clubs and was featured as an on-air DJ at 97.1 KBCQ in Roswell NM. He brings two turntables and mixes music like funk, hip-hop and EDM together to keep the dance floor packed! The DJ Duo. They have been part of the business from the start and have played music at hundreds of fund raisers, weddings and corporate events. They work as a team with you to create a custom playlist for each event to deliver the best experience possible. Viola is very experienced, she can help you choose the right music and put it in the right order. Mag is an experienced MC, he has announced many sporting events and has even served as an auctioneer.